Steve Woods | Only in the USA? 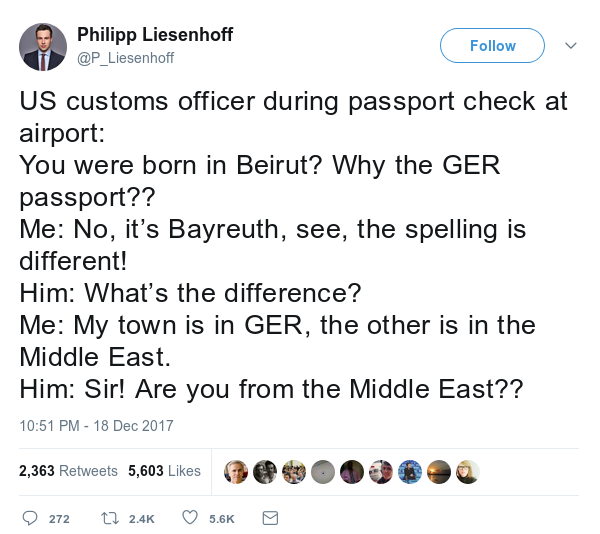 What is the hapless US customs officer featured below going to do when he finds out there’s a Paris in France as well as Texas, an Athens in Greece as well as Georgia and Boston is named after a market town in Lincolnshire in the UK? This entry was posted by Steve Woods on December 20, 2017 at 10:39, and is filed under Language, Oddities, Social Media. Follow any responses to this post through RSS 2.0. Both comments and pings are currently closed.